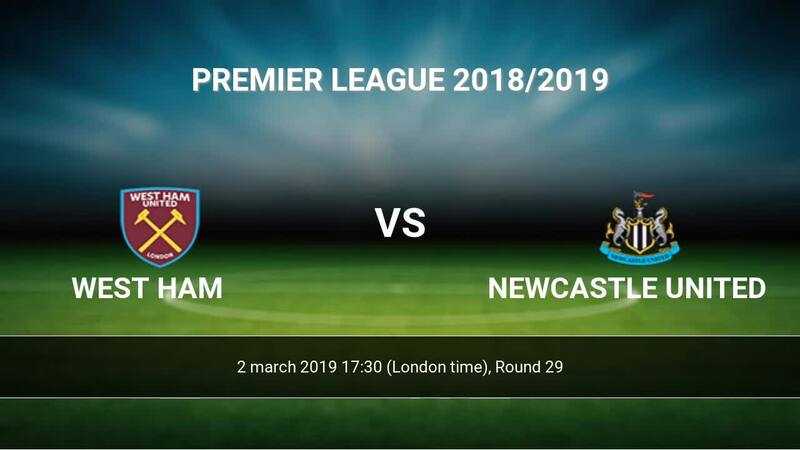 Kick off West Ham-Newcastle United in Premier League on today 17:30. Referee in the match will be Chris Kavanagh. Team West Ham is located in the middle of the table. (10 place). West Ham in 5 last matches (league + cup) have collected5 points. West Ham has not been defeated at home from 4 matches. The best players West Ham in Premier League, who scored the most goals for the club: Felipe Anderson 8 goals, Marko Arnautovic 7 goals, Javier Hernandez 5 goals. Most goals developed: Felipe Anderson 3 assists, Marko Arnautovic 3 assists, Javier Hernandez 1 assists. Injured players West Ham: Winston Reid, Fabian Balbuena, Carlos Sanchez, Jack Wilshere, Andriy Yarmolenko. Team Newcastle United is located in the middle of the table. (14 place). Form team looks like this: In the last 5 matches (league + cup) gain 10 points. 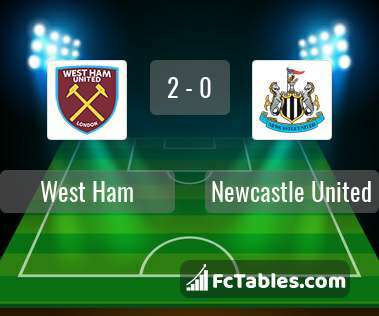 Newcastle United did not win the match away from 5 games. From 3 matches no lost a match. Leading players Newcastle United in Premier League is: Jose Salomon Rondon 7 goals, Ayoze Perez 4 goals, Fabian Lukas Schaer 3 goals. Players Jose Salomon Rondon 4 assists, Ayoze Perez 1 assists, Fabian Lukas Schaer 1 assists will have to be very well guarded by defenders West Ham, because they have the most assists. In Newcastle United not occur in the match due to injury: Robert Elliot, Ciaran Clark, Jonjo Shelvey. Direct matches: Newcastle United won more direct matches. 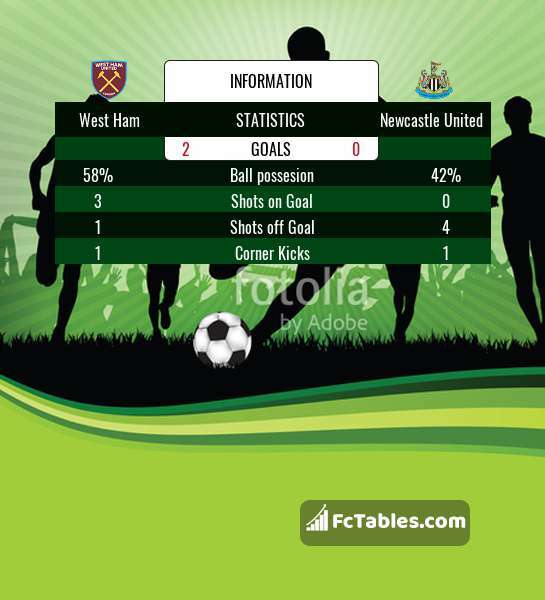 West Ham won 8 matches , Newcastle United won 13 direct matches, was a 8 draws. In 20 matches the sum of the goals both teams was greater than 2.5 (Over 2.5), and 23 matches teams scored more than 1.5 goals (Over 1.5). In 15 matches the both teams scored a least one goal (Both teams to score).